Welcome back, NaCoHoCo fans. It’s been a long offseason – partying for some of us (North Dakota, Denver), pangs for others (Omaha, Miami), pleading for others still (Arizona State, Mankato). But the days are getting shorter, the lattes are getting pumpkin spicier and the rev of distant zamboni motors grows and grows. Let’s talk college hockey, eh? It’s destined to be another exciting year in the National Collegiate Hockey Conference. Sure, it’s tough to beat a national championship season. How about another one? And sure, the conference lost a lot of talent to graduation and pro contracts, but there are incredibly talented goaltenders, forwards and defenders returning for another year of play. How will it all shake out? The writers and experts have had their say, and once again, I’m taking a stab using shot data from last season to predict how the conference race might unfold this year. We haven’t always agreed, these hockey writers and me (me being “data”, I mean). In the last couple of years I’ve been doing this, the data has uncovered some interesting trends that bucked conventional wisdom. Two years ago, this statistical model helped predict an insurgent UNO Maverick team (that ultimately made the Frozen Four). Last year, it pegged Denver as the conference favorite – wrong, but the Pios did make the Frozen Four. Sometimes data finds the trends that we don’t normally see. Other times, it simply confirms what everyone already knows. This year, as we’re about to see, is one of those years. Most returning players will perform about the same as they did last year in sh% and sv%. At a team level, this will even out in the aggregate. Teams with no coaching changes and stable possession over time will have similar possession in 2016-17. Adjustments will be made based on loss of a high-shooting player or an increased role of a returning player, as well as an assumed regression toward the mean. New players will perform at the average of each team’s new players over the last three years. We’re not sure how junior or high school hockey translates in NCAA talent, and even if it did, we don’t know how much any individual guy will play this year. So until they prove otherwise, they’re considered average. There’s no great way to quantify incoming talent yet, but I do what I can. Extreme outliers need to be moderated. If Danton Heinen or Jack Roslovic were returning this year, I would tone them down based on expected regression toward the mean. NCHC shot% + save% will always equal 100%. Furthermore, don’t expect Sh% to deviate much from just less than 10% and don’t expect save % deviate much from just more than 90%. NCHC average possession is always 50% and possession ratio is always 1.00. Total points will equal 288. Finally, noise will happen, and I can’t predict it. That’s why we watch the games and they play the seasons. However, hopefully in the second year of the model, with an additional year’s worth of data, the noise will begin to shrink. We saw a lot of talented freshman classes in 2015-16, notably at Colorado College, Denver, Miami and North Dakota. Miami loses a key player in Jack Roslovic, but otherwise all of those to-be sophomores return. The team hardest hit by departures is easily St. Cloud. The Huskies lose their top six point earners from last season, and a senior class that shot a ridiculous 17.76%. They also take with them a third of the team’s possession, and they’ll also be looking to a sophomore class to make up the difference. In my opinion, the most well-structured team in these charts is Minnesota-Duluth. Every year I look at this, they have such an even spread of possession, shooting and goals. It makes them so consistent year after year – if my memory serves me right, they’re always a high possession, high expectation team. This year should be no different. North Dakota loses the most in possession, but I have few doubt’s they’ll reload like they always do. Miami, St. Cloud and Denver are next, although Miami’s possession lost is proportionate with it’s actually roster turnover, so not too many worries there. The team hit hardest by possession lost proportionately is, again, St. Cloud, who loses 27% of its roster but 43% of its shots. Least affected by roster defections are Colorado College, Western Michigan and Omaha, in that order. I would note, however, that this has been the case for these teams for the last two years, and hasn’t seemed to help much. Sometimes retaining poor possession players is worse than losing good ones. 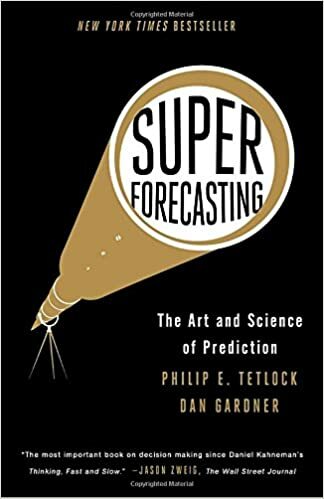 Alright, on to the predictive model. We assume all the returning players will perform at about the average rate they performed last season. Obviously this won’t be true down to the player, but at the aggregate, it should pan out – and I’ll just have to hope the team-level adjustments aren’t huge. In addition, I’ll make the assumption that each team’s new players will perform at about the rate of the last two years averaged. This year, there was much more graduating talent than last year, and across the board there are more freshman. I’m hoping that by instituting an average freshman performance across years, the imputations will be more accurate than they were last year. Really, were you even the tiniest bit surprised? The model predicts North Dakota to win the Penrose Cup in 2017, aligning with the expectations of NCHC sports writers, hockey Twitter, your friend at work who casually follows college hockey and an actual hawk somewhere out in the tar sands. It’s not even close – the model expects UND to win about 75% of its NCHC games and earn 57 out of 72 available points. Denver and St. Cloud will seemingly battle for second place. Duluth, Miami and Omaha will fight for home ice, and CC and Western appear poised to bring up the rear. Like I said, sometimes the stats are surprising, sometimes they are affirmation of everything we already know. Colorado College: While the Tigers put up yet another disappointing record, bright spots did emerge. For starters, the 2015-16 freshman class appears to be the most talented in half a decade for CC. With a collective 9.22% shooting percentage and nearly 50% of the puck time for the team, the freshman class led the way. The team returns all but two of their underclassmen, and 86% of last year’s possession. While I don’t see them winning the league, this might be the year they break out of the last-place spot, thanks to improvements in shot percentage and possession. Denver: Denver looks about as good as it ever has, but the green juggernaut standing in their way could prevent them from taking the Penrose. Their talented freshman class from last year returns intact, but the truth is that talent is well-distributed across this deep team. Sure, major losses in Heinen and Moore might sting for a bit. Shot percentage and goaltending might are expected to regress somewhat toward the mean. A key question to consider: does Dylan Gambrell’s performance hold up without the other two members of his Pacific Rim line? It would appear the roster is deep enough to fill the gaps. If anyone will challenge North Dakota for the title, it’s Denver. Miami: Miami will lose their most talented player in Jack Roslovic, and that has to sting. They also lose their goaltending from last year, but I see more opportunity there than threat. Miami’s unknowns should be answered fairly easily. The biggest problem lies in the fact that other teams in the league bring superior performers to the ice. Average goaltending, average possession and average shooting seem to put Miami around 5th, which is, well, average. Minnesota-Duluth: UMD will likely three-peat as possession champs this year, but it’s a Pyrrhic victory as they just make home ice in 4th place. The Bulldogs lose eight seniors to graduation, as well as a talented sophomore goaltender. Filling the space between the pipes will be their biggest concern early on. For now, we can only expect league-average goaltending, but if a star emerge like Kaskisuo did two years ago, we could see UMD challenge St. Cloud and Denver for a high finish in the NCHC. Nebraska-Omaha: Omaha loses one bright star in Jake Guentzel, but for the most part the core of this team is back for 16-17. So why the low ranking? Frankly, Guentzel was pulling up the averages, and when you return only a 7.7% conference shooting percentage, you’re going to suffer in the NCHC. In addition, while UNO’s goaltenders went on lockdown in non-conference play, they collectively registered only an 88.87% save percentage in the conference, second to last. While that should be expected to improve somewhat, its far from guaranteed. The good news is that new assistants might have this team taking a different approach this year, so their sub-50% possession could pop into positive territory. It’s a soft sixth place, but it’s sixth nonetheless. North Dakota: If you had any concerns about North Dakota’s ability to replace its seniors and juniors who depart, the Hawks freshman class arguably carried the team with the best shooting percentage, most possession, and most goals per player. If you think this was all Brock Boeser, you’re in for a surprise this season; the whole class is good, and the incoming class is just as talented. Pair that with a returning league-leading goaltender and shot statistics that somehow are expected to go even higher, and we’ve got a nightmare of a team on our hands (for the other seven clubs, that is). This team did lose about half its shots from last year, and UND has been known to start slow, so that’s a good possibility again this year. But don’t let it fool you – the fight in these hawks is only getting stronger. St. Cloud State: Lost six top players? Eh, so what? The Huskies have talented underclassmen returning this year, especially in Winiecki, Peterson and Eyssimont. Goaltending, however, is a big unknown. Realistically, I expect St. Cloud to take a step back in shooting percentage, goaltending and possession this year. But they are small steps back, still NCHC average or better in every statistical category. The returning components should be good enough for third place, and they’ll be breathing down the Pio’s necks for second. Western Michigan: No team needs to answer more questions than the Broncos. Who starts in goal? Who backs up bright spots in Sheldon Dries and Griffen Molino? WMU loses little from last year among skaters, but in this case I’m not sure that’s all that helpful. Western’s NCHC possession last year dipped to 45.7%, and what players it does lose take with them some fire power. I don’t see WMU making great strides this year, and unfortunately that might be enough to allow them to sink to the bottom of the league standings. That could all be totally upended by a great goaltender, though, which we know can really make up for a lack of offense in college hockey. There you have it, a stats-based 2016 NCHC Prediction. All of these point predictions are plus/minus 2.425 points. Given that confidence interval, we’re almost certain North Dakota and Denver won’t finish last, and we’re almost certain CC or Western Michigan won’t finish first. Every other spot is up for grabs. Wild fluctuations from last year’s numbers: This year’s model has three years of data, which means the fluctuations are dampening, but it’s still an area to watch. One set of data in particular I’ll be watching is save percentages – with so many new starting goaltenders this year, conventional wisdom could be upended in net. The St. Cloud effect: Over the last two years, St. Cloud really beat up on the weaker teams in the league, and the model interpreted that as a Husky team that was earning more points than they did in real life. Teams can throw off the predictions and skew their numbers by beating up on weak teams, or with clutch performances in close games. Basically any inconsistent play will add noise. However, as more years of data are added to the model, that affect will dampen. Injuries/departures/playing time: If anything affects the general composition of a roster, the independent variables are going to change. Specifically, any goalie injuries are going to throw the inputs off quite a bit. New coaching styles/systems: No new head coaches in the league this year, although there are a few new assistants. Will any have a significant effect on playing style/possession? We’ll see. We get a really good idea of whether the predictions and model are performing well after each team has played 12 of their 24 league games. Yes, that’s halfway through the season, but that’s when we have enough data that the violent swings settle. So that’s it – my 2017 NCHC odds-on winner is (surprise, surprise) the North Dakota Fighting Hawks. If you don’t like these predictions, don’t blame me. Blame the numbers. Then, root for your team to defy expectations. I know I will. Oh, and don’t forget to check back in with the model and all the relevant stats, which I track here: joelgehringer.com/thelab/NCHC2017. I update every weekend after the games have ended so you can see what the stats say about your team’s expected performance throughout the NCHC season. Thanks for reading, and we’ll see you again in a few weeks to check in on the season! This entry was posted in NCAA hockey and tagged analytics, college hockey, Colorado College, Denver, hockey, Miami, Minnesota Duluth, NCAA hockey, nchc, NCHC prediction, Nebraska Omaha, North Dakota, predictive model, St. Cloud State, Western Michigan. Bookmark the permalink.